This year’s Nobel Prize in Chemistry goes to Dan Shechtman from Israel for his discovery of quasicrystals in Nature in 1982. Persian artisans have created aperiodic quasicrystal tesselations on buildings more than 500 years earlier, before Johannes Kepler, Albrecht Dürer and, of course, Roger Penrose. I had discussed that amazing fact on this blog numerous times, e.g., here, here and here. I have recently changed the header of this blog now featuring a part of Esfahan’s Darb-i Imam shrine with its famous almost quasicrystal pattern. It was Peter Lu and Peter Steinhardt who published their article on decagonal tesselations on buildings in Iran in 2007, and who draw my attention to this amazing kind of Islamic art. Last update October 5, 2011. 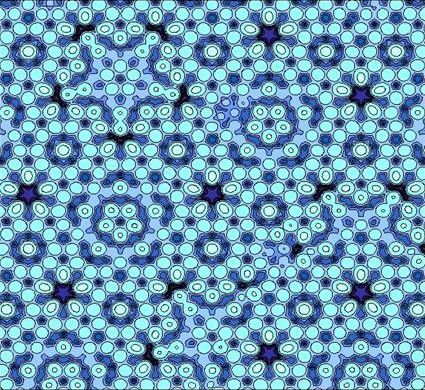 This entry was posted in Uncategorized and tagged aperiodic tiling, Chemistry, Dan Shechtman, Darb-i Imam, Islamic art, Nobel Prize, Peter J. Lu, Peter Steinhardt, quasicrystal. Bookmark the permalink.